Wow! It’s been a long time since I’ve written. Ages! So where did I leave off? Ah, yes. 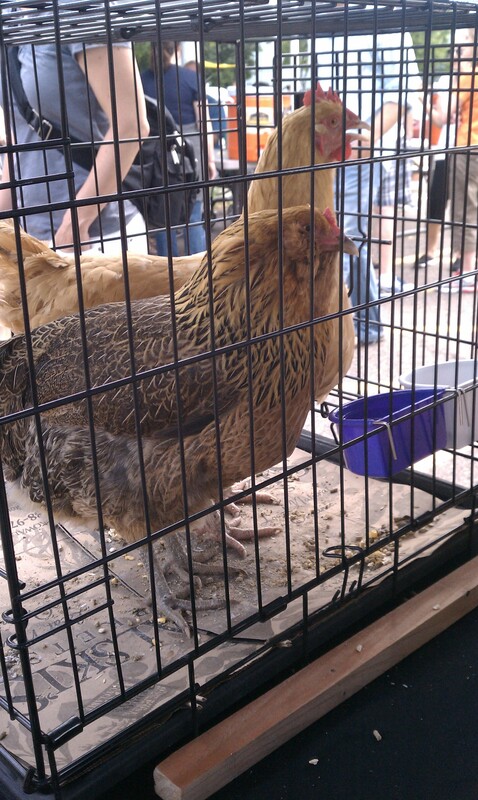 Chickens! The chicken class was awesome. Loved it! If you live in the Twin Cities and are thinking about getting chickens, I definitely recommend taking the Backyard Chicken Basics class at EGG|PLANT Urban Farm Supply before you jump in and get those cute and cuddly chicks. The class is filled with good information to prepare you for raising chickens. I thought I’d take the class, order my chicks while I was there and be raising them this week. I still want to get chickens but, thanks to the class, realized that I have a little more preparation to do before bringing these feathered friends into our backyard. And speaking of the backyard, this spring was so busy that I didn’t get my garden planted until just a couple of weeks ago. Holy lateness! Thankfully, most of it is coming along nicely so far, although something or someone did manage to sneak in and dine on my sunflower and pea shoots, but it could be worse! 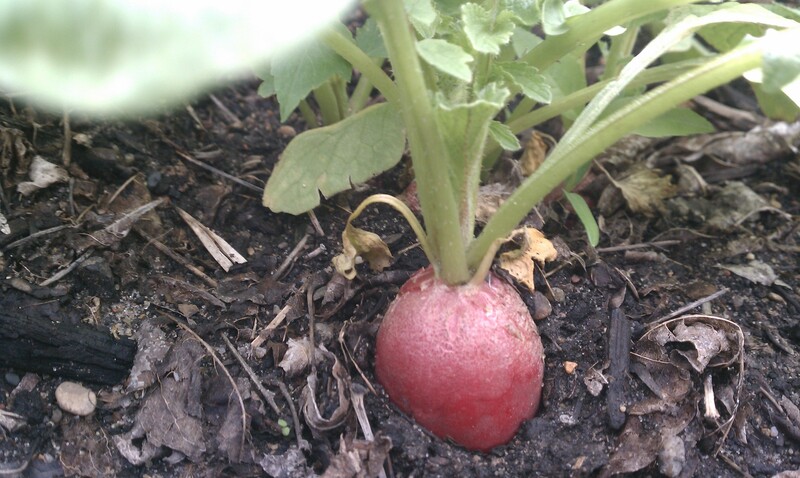 Now that things are growing its obvious that my garden could definitely use a little more sun. I finally contacted an arborist to “take care of” my overgrown volunteer trees so my plants can grow a little stronger. He’s scheduled to be out in the next couple of days to check everything out so hopefully the balance of the summer my garden will have full sun exposure instead of just part sun! As some of you may know, I spend a good deal of time volunteering at my son’s school. I help some of the teachers with the Botany unit and coordinate the school garden with a couple of friends. 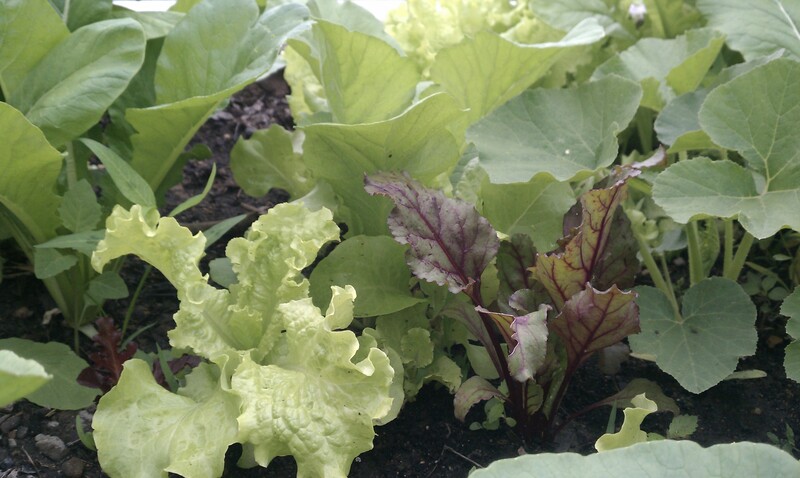 Even though my home garden got a late start, the garden at school is doing great! Last year about this time we were just getting the raised beds built and the arbor/pergola constructed. 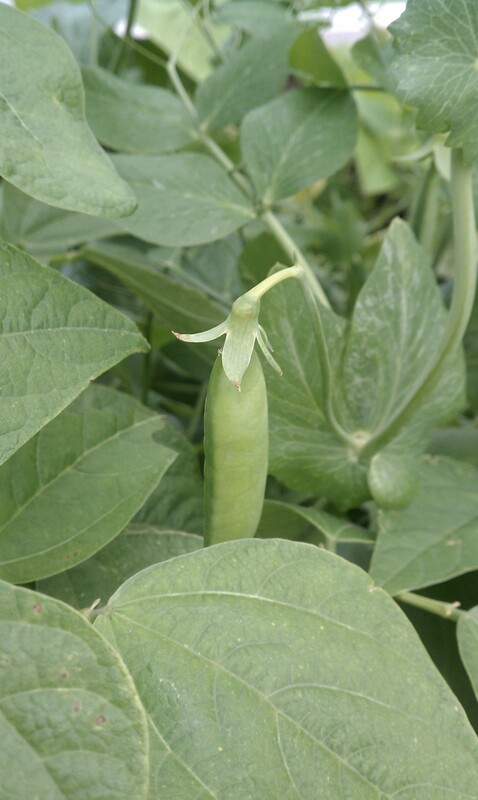 This year the kids were able to plant before school was out and the children taking summer school classes are now reaping the benefits in their school lunches! It’s truly awesome to see how much the kids enjoy the garden and trying the food that comes out of it. And since we’re on the subject of food, I’ve also visited a few more Farmers Markets. Some small, some simple, some large, some with excellent presentation and even visited some in the rain. I’ll do write-ups on those in the very near future so you can get a taste and see if you want to check them out. What else? Insects and diseases. You can’t have plants without running across those. Let’s start with Dutch Elm Disease. While Emerald Ash Borer is getting lots of press these days (as well it should) Dutch Elm disease is still going strong and continuing to make its way around the Twin Cities (along with the rest of the country). A couple of years ago we lost two large Elm trees in the front yard. They were big old Elms, they had survived the initial wave of Dutch Elm Disease back in the 70s so I figured they would be okay. I was wrong. They left a huge hole in the yard and burnt out lawn, not to mention the habitat that disappeared for the birds and critters. Well, not wanting to lose the last large Elm in our yard, I decided it’s time to bite the bullet and spend the money to protect it. Treatment for this tree isn’t cheap, but it is guaranteed for three years and is still cheaper than the cost to remove the tree if it died. So in addition to protecting a tree that would take 70 years to replace, it was kind of like getting a three-year insurance policy on the tree. It’s worth it to me. And while we’re talking insects, guess who’s back?! 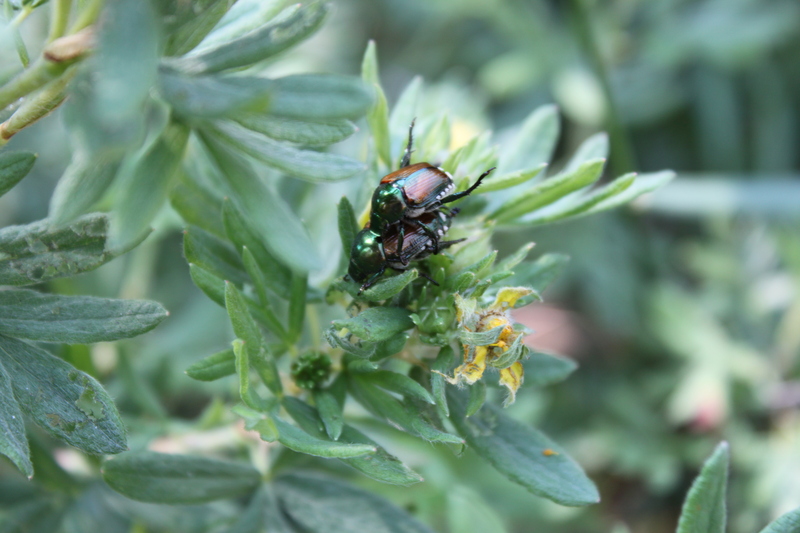 The Japanese Beetles. They have been rearing their iridescent heads again. While the population hasn’t been anywhere near what it was last year (at least not yet), it seems to be growing by the day. At first I saw one, then a couple more, and so on. Many mornings and evenings you’ll find me in the garden with my peanut butter jar of warm soapy water trying to flick off as many as I can find and leave them to, well, drown. Ooo… and speaking of insects, I had a new (to me) insect sighting this year too. 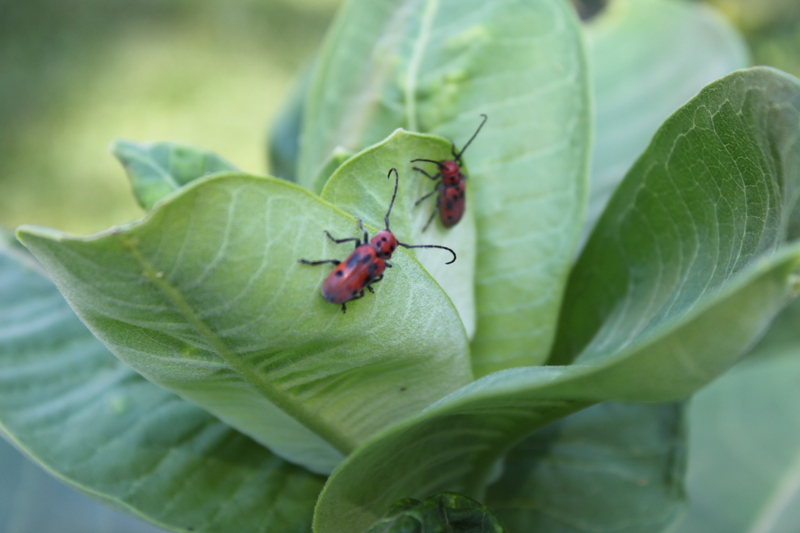 The Red-femured Milkweed Borer. Have you seen them? Their coloring is quite stunning. I found them, ironically enough, on my milkweed. 🙂 Unfortunately I don’t know a lot about these guys. They seem to be migrating our way due to the climate change and warmer temperatures. The closest information I could find on them came out of Missouri and as far as I can tell they are neither a “good bug” or a “bad bug”. They are just there. If you know anything different, please share! There have been a couple of other neat non-insect related sightings in our yard this year too. The first one took place on Memorial weekend. 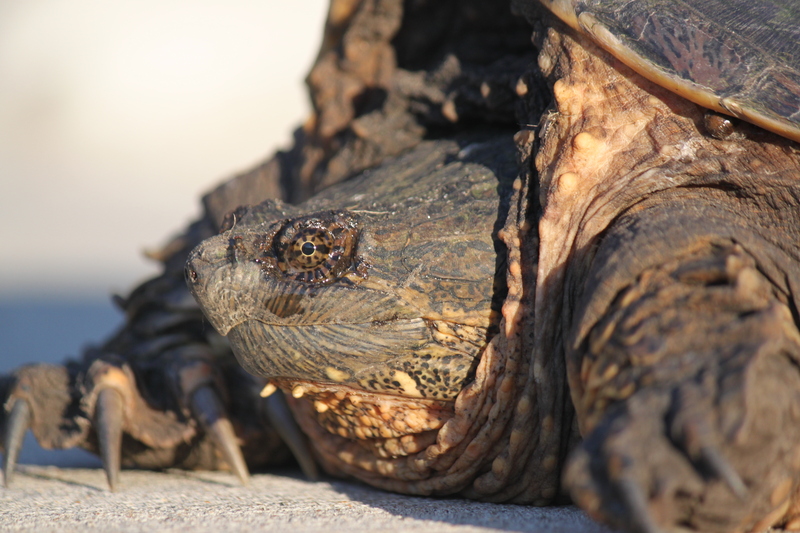 The dogs were barking out the front door and when I went to see what they were barking at I saw a fairly decent sized snapping turtle on the front sidewalk. “OH!” I thought to myself, “That’s what you’re barking at.” After a couple of days of hanging out around the house she burrowed into one of my flower beds and then after a day or two, she disappeared. Neighbors are pretty certain she probably laid eggs but we won’t know for sure for a few more weeks. I’ll let you know if there are suddenly little snapper babies everywhere. 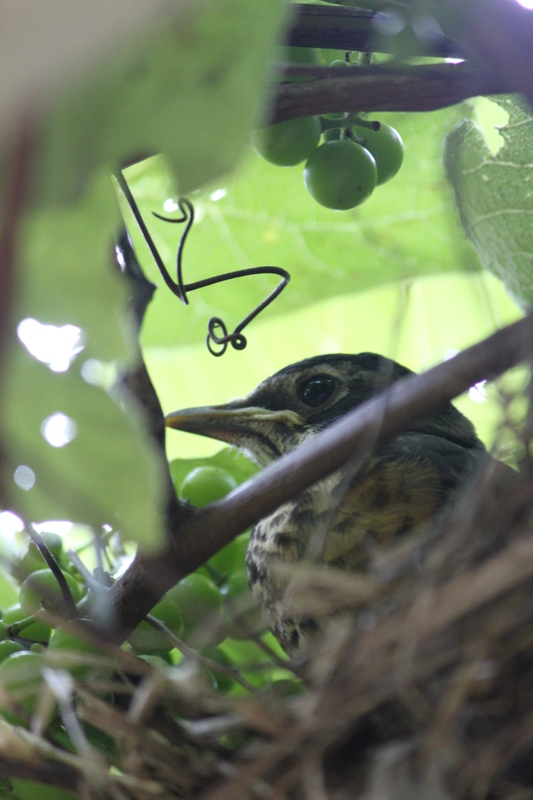 We also had a pair of robins nest under the grape vines on the pergola in the back yard and give birth to three babies. It was fun watching the nest, waiting for them to hatch and watching the parents feed them. I was even lucky enough to witness the first attempted flight of one of the babies! So amazing and so funny! What else? Snakes. Have we had snakes! One of our dogs is very good at catching snakes. (I really wish this wasn’t one of her talents!) Thankfully we only have garter snakes, so she’s not chasing anything really nasty, but man, these are some of the longest and fattest garter snakes I’ve seen in a long time! 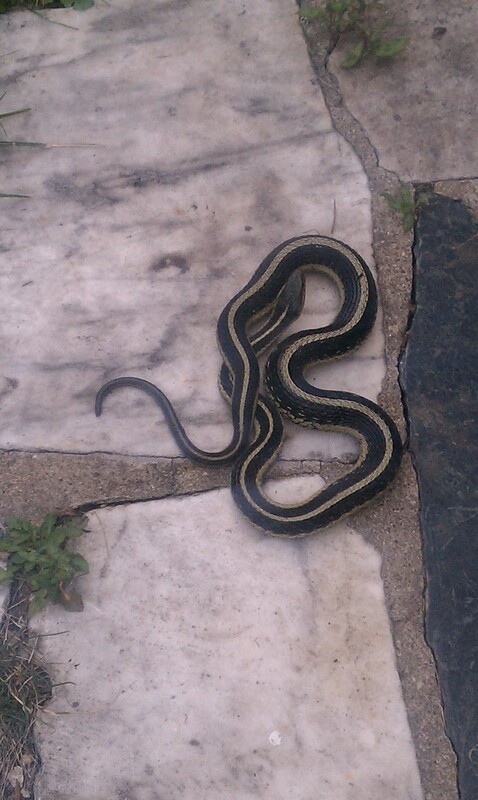 Got a snake problem? Call me. I’ll send her over. I’ve picked up some cool new books too. A chicken book, gardening book, sustainable living book and of course some cook books. I tried out a number of new recipes out of the cook books and from a couple of blogs too. I’ll share some of them later this week. 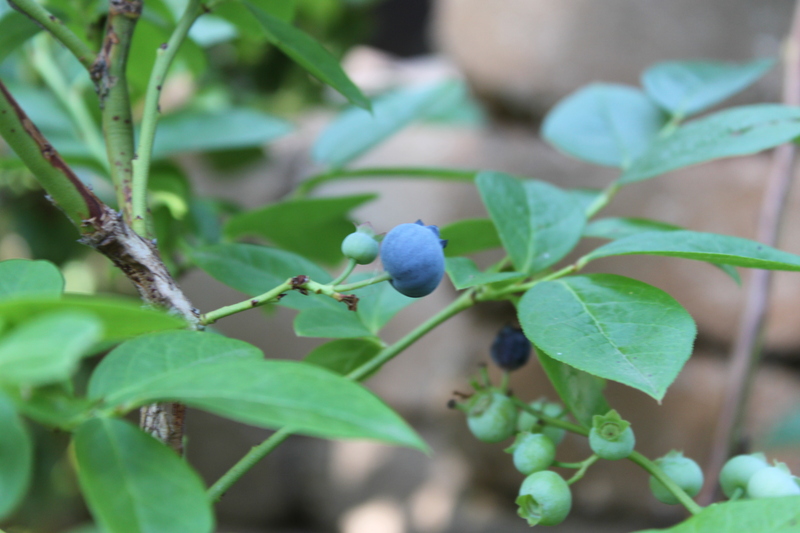 I’ve also gotten a handful of blueberries, quite a few golden raspberries and the grape vines are loaded, although not ready to eat yet. The pear trees have a handful of pears on them again too so hopefully I’ll be able to snag one before the squirrels get to them! Sadly, no fruit on the apple trees again this year. It appeared as though they were invaded by leaf rollers. Once things slow down a little I plan on planting a few companion plants in the vicinity of the apple trees to see if I can improve things for them. Oh, and one more thing to share with you. 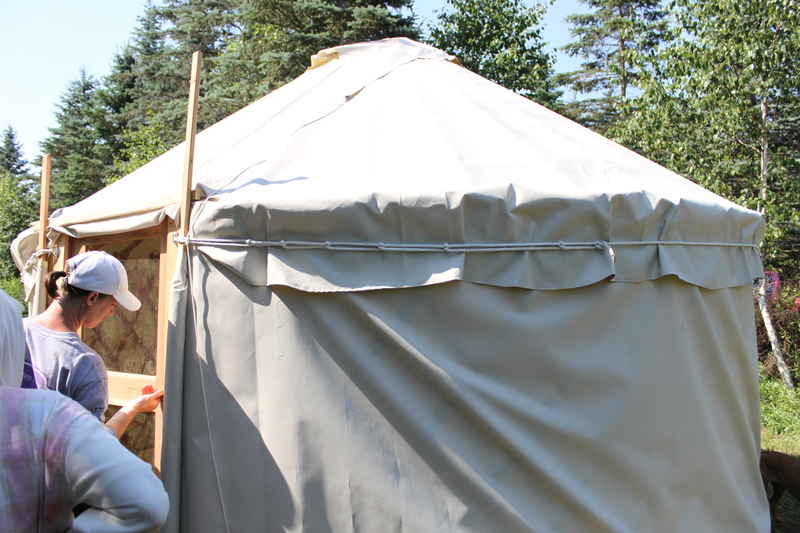 I helped build a Yurt! If you already know what a Yurt is, excellent! If you’re like me, you’d say, “A what?” A Yurt. Basically, it’s like a semi-permanent, round tent. I’ll go into more detail on that later. So there’s a glimpse as to what I’ve been up to. I’m planning on writing more and filling in the gaps as the week progresses. In the meantime I hope you’re able to get outside and enjoy the summer weather even if temps have been in the 90s and 100s like it has been here. Until next time…. happy summer and happy gardening! Today it finally hit me. It’s over. Summer is over. Fall is here and winter is on its heals. You’d think I would have figured this out when the colors peaked a few weeks ago, but it was 85 degrees then. It made it easy to deny the change in seasons. Honestly, that whole thing, as much as I loved the continued warmth, kind of freaked me out. It was creepy for a couple of reasons. Partly because warm winds, shorts and fall color do not go hand-in-hand in Minnesota. The other reason is that although Doctors couldn’t figure out what exactly I had when I was sick. The first thing that came to mind when they would ask me when it all started was a memory of a warm windy day back in August of 2009 when I had a reunion with a bunch of my college girl friends and their families. The same winds blew through then and I remember being chilled. Granted I didn’t realize I was running a fever until weeks after that, but that windy day in August was what stood out in my mind. So the warm, windy days a few weeks ago made me incredibly uncomfortable to say the least. Much as I love a beautiful breeze, I’ve come to really dislike wind. If people could put up hackles, mine were definitely up. When out in the wind I even envisioned putting up my arms in a defensive position to try to fend off catching something again. Anyway, as I took one of the dogs for a walk early this morning, I stepped out the door to my favorite weather and my favorite season. The frost on the leaves, flowers and grasses was stunning as it sparkled in the early morning sunlight. The air was so crisp and so refreshing. Although the color is past peak a few trees are still hanging onto their leaves and I completely understand why, they’re just too beautiful to let go of. While I took every ounce of it in as much as I could I still had mixed emotions. The growing season is over. 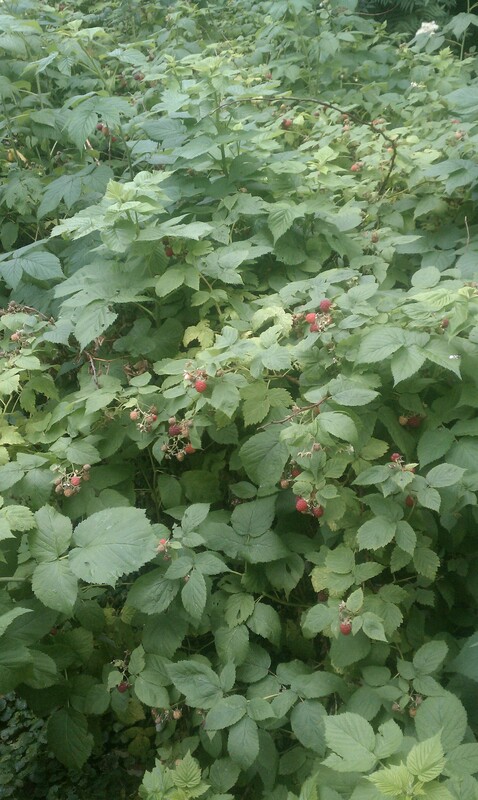 Oh, there are still a few raspberries clinging to their canes, shrub roses continuing to bloom and ornamental grasses dancing in the breeze like ladies in ball gowns. But as a gardener, its with a heavy heart that I say goodbye to another season that flew by way too fast.